Imagine a City That Remembers grew out of a series of articles and photographs published in the Albuquerque Tribune in 1998 and 1999. This expanded and updated collection revisits Albuquerque nearly twenty years after the original articles were written. 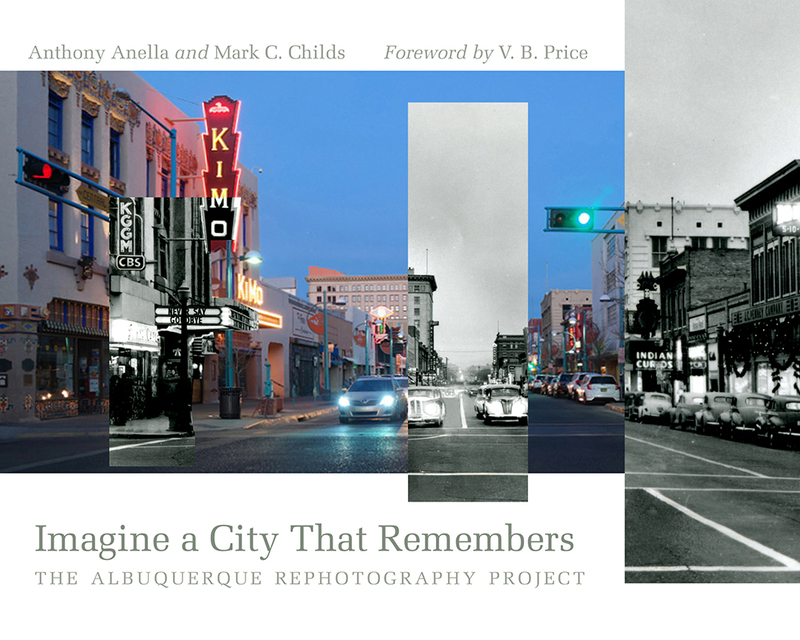 It juxtaposes historic and contemporary photographs of Albuquerque to show diverse moments in the city’s history and development. The authors, ardent defenders of the vitality of Albuquerque’s past, contend that the city is still small enough to be in touch with its history and argue that what makes Albuquerque a great place is the continued presence of its strong traditions. They further believe that preserving Albuquerque’s natural and cultural heritage is critical to the city’s future. Throughout, both express a deep understanding of this complicated, beautiful, and often misunderstood place. Anthony Anella, a conservationist and architect, is the coauthor of Saving the Ranch: Conservation Easement Design in the American West. He is also the founder of the Leopold Writing Program, a New Mexico nonprofit dedicated to promoting environmental ethics through the written word. Mark C. Childs is the associate dean for research and a professor of architecture at the University of New Mexico. He is also the author of Squares: A Public Place Design Guide for Urbanists (UNM Press) and the coauthor of the award-winning The Zeon Files: Art and Design of Historic Route 66 Signs (UNM Press).